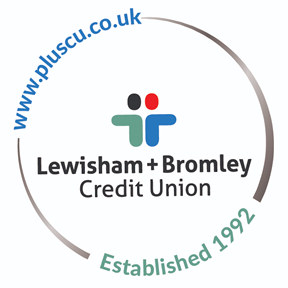 Lewisham Plus Credit Union Ltd (LPCU) encourages savings accounts for children and also operates a number of Young Saver clubs at participating local schools. These encourage primary and secondary age pupils to learn about money and develop a savings habit. This is a vital part of growing up money-wise. You only need £1 to open a Young Savers Account. They are only available to people under the age of 16. Savers will receive an annual bonus payment known as a dividend. The size of the dividend is calculated as a percentage of your savings. A higher dividend is usually distributed to Young Savers. Young Savers receive an attractive wallet and colourful pen with their special Young Savers passbook. Primary age Young Savers can collect smart smiley stickers when they save. Savings can be withdrawn at any time but loans are not allowed. Withdrawals of more than £20 need to be countersigned by a parent or guardian. Young Savers become adult members of the LPCU on the 1st October following their 16th birthday. Any child who is a relative living in the same household as a qualifying adult member can have an account as a Young Saver. The Credit Union is able to accept accounts for children who attend a school in the London Boroughs of Lewisham or Bromley or the SE19 postcode. To open a Young Savers Account please complete a Young Savers Application and bring it into one of our branches or one of the schools we are currently working with.